Following the release of the Super Famicom, Nintendo decided to update their hotel offering. Nintendo had already released the Famicom Box in 1986 and knew there was a market for it. 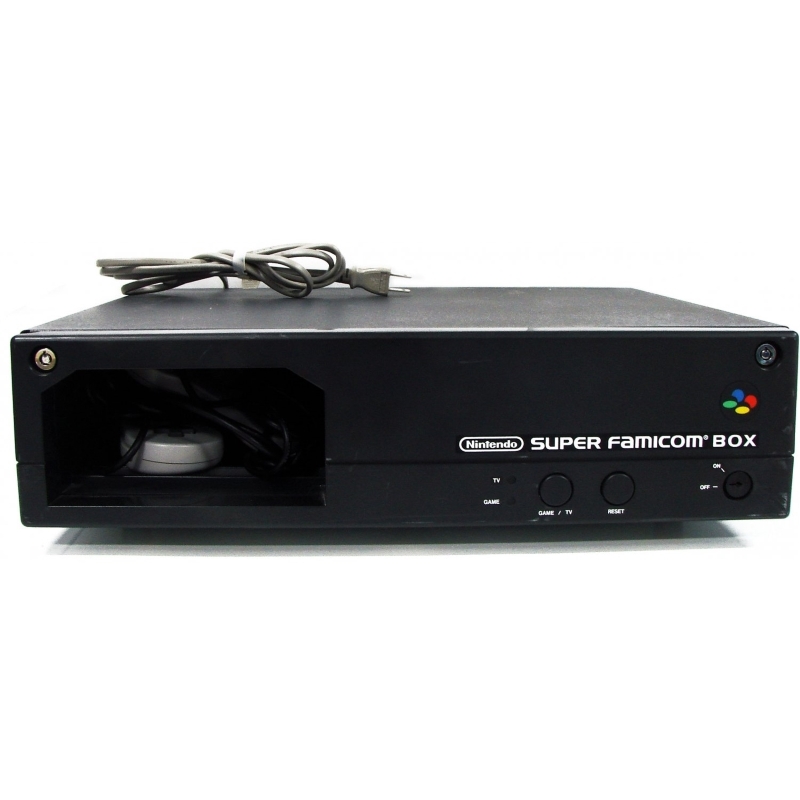 The Super Famicom Box was available to hotels and commerce wanting to offer video games without having to change cartridges, but now, the console was no longer rented but instead sold directly to the hotels and commerce. As the Famicom Box was primarily designed for a pay-per-minute model, most Famicom Box were delivered with a coin box option forcing customers to pay ¥100 to be able to play for a few minutes. With the Super Famicom Box, the option for a coin box was still available, but as most hotels didn’t want to have to collect the coin in each room, this option was mostly overlooked by customers. Instead, the hotel would put the console on free play either for a fixed cost or as part of the cost of the room. This new business model had unforeseen consequences on the cartridges business. The monthly-fee cost of the Famicom Box force the owner to entice their customers into playing the console. This was mainly done by ensuring that the console had the latest game available. With the Super Famicom Box, the need to update was less there as the box was already paid for in full. The other problem was that the system could only accept 2 cartridges. The PSS-61 cartridge was mandatory for the system to function as it contains the BIOS. As most systems were sold preloaded with two cartridges, and since only the second cartridge could be changed, there was not incentive to buy a new one. This explains why later cartridges are rarer as they were mostly just sold with newer units. The system uses a BIOS. Cartridges are proprietary to that system. The save games were saved in the console itself and not the cartridges. Although the controllers are normal Famicom controllers, the cord of the controllers are longer. The Super Famicom Box sold very well and is today still fairly easy to find in Japan in the second-hand market as the market for commercial-grade console is fairly small. Only 4 cartridges were released for the Super Famicom Box. Although the front of the box only indicates two possible key positions, there’s actually 6 of them. Allow you to change the Super Famicom setting such as the date, the time permitted on Demonstration Mode, etc. Will let you play any game for a set amount of time before the game reset. Will let you play any game for as long as you want. Let you test each game without the need to pay for them if you have the coin box attached.